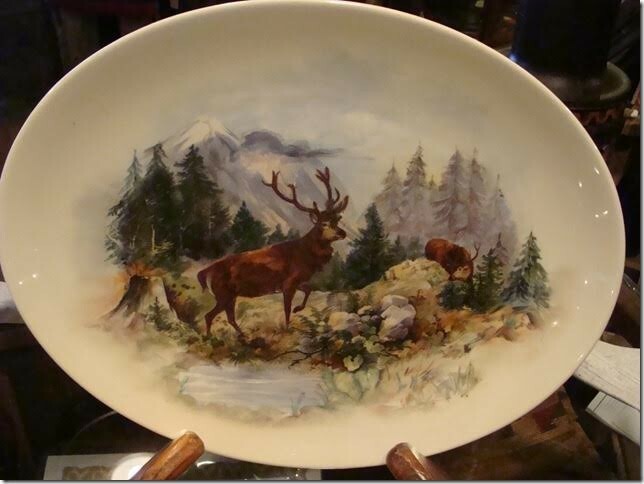 Here is a large hand painted décor plate of Elk. Signed, Approximately 14” inches wide.. Here is a large hand painted décor plate of Elk. Signed, Approximately 14” inches wide. Please email cowboycabin@centurytel.net with questions or call 406 270-2842.